Varun Chakravarthy is in news after getting sold for IPL 12 season. His base price was just 20 Lakh and he was sold for 8.4 crore rupees. He hit the jackpot by claiming a whopping sum of 8.4 Crore INR, 42 times more than his base price of 20 Lakh. We are providing details of Varun Chakravarthy age, wiki, biography, matches, family, images and other personal information. Varun Chakravarthy is in trending topic for his price. He plays in Tamil Nadu premier League for Madhurai Panthers. Now he was bought by Kings XI Punjab for IPL 2019. In 2018–19 Vijay Hazare Trophy he took highest wickets. This Indian cricket took 22 wickets in just 9 games. He is right-hand batsman and Legbreak googly bowler. He is known as mystery spinner and his bowling has main role for the high bid in IPL auctions. 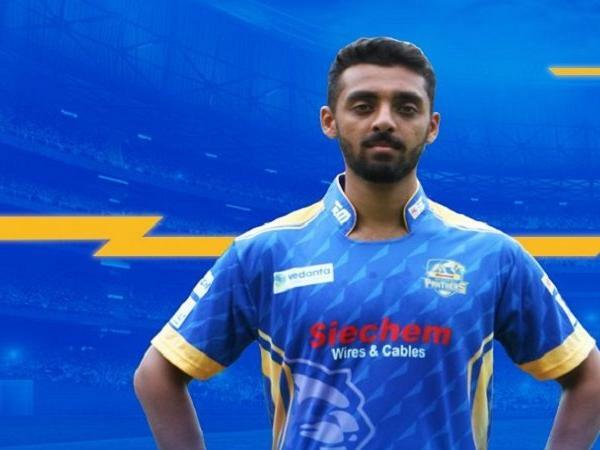 He played a major role in winning the maiden TNPL title for his team Siechem Madurai Panthers. In 2018 TNPL his economy was 4.7 run per over. After the TNPL, in Vijay Hazare trophy, his economy rate was 4.23. So he is a consistent bowler and he can be a reason for KXIP win in 2019 IPL season. There is little information about the cricketer Varun Chakravarthy and we will update the more information soon.